Quinoa Risotto With Arugula, Shiitake Mushrooms And Vegan Parmesan…Prince Approved!!!! The biggest challenge of my vegan lifestyle is preparing vegan foods that my teenage sons will eat. 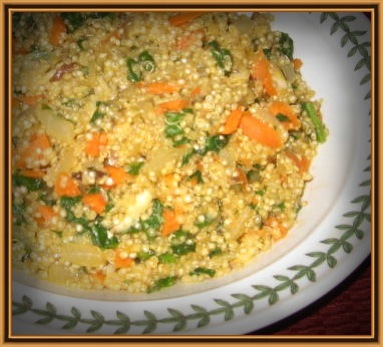 So, when I tell you that both sons love (yes, I said “love”) this quinoa risotto dish, you have no choice but to make it!! I adapted this dish from “The New Mayo Clinic Cookbook” which was also the inspiration for my Baked “Goldie” Squash Rings. I veganized the original recipe by using vegetable broth and a vegan grated parmesan cheese alternative by the brand Galaxy Nutritional Foods. This recipe is truly amazing! FYI, shiitake mushrooms are considered a medicinal superfood in macrobiotics. Dr. Joel Fuhrman recommends eating greens, onions and mushrooms everyday which, therefore, makes this dish nutrient dense. In a large saucepan, heat the olive oil over medium heat. Add the onion and saute until soft and translucent, about 4 minutes. Add the garlic and quinoa and cook for about 1 minute, stirring occasionally. Do not let the garlic brown. Add the vegetable broth and bring to a boil. Reduce the heat to low and simmer until the quinoa is almost tender to the bite but slightly hard in the center, about 12 minutes. The mixture will be brothy. Stir in the arugula, carrot, and mushrooms and simmer until the quinoa grains have turned from white to translucent, about 2 minutes longer. 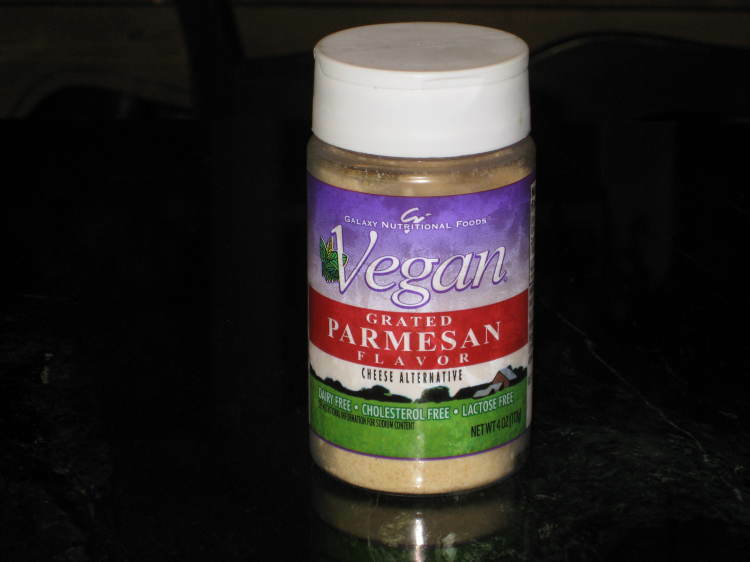 Stir in the vegan parmesan cheese and season with salt and pepper. Serve immediately.